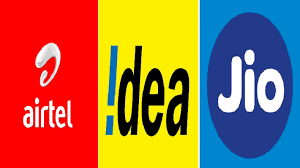 Since the merger of Vodafone and Idea, both telecom companies are making changes to their existing plans. The purpose is that the subscribers with both networks get the same benefits. Under this strategy, Idea Cellular has introduced a new Rs 159 Recharge pack, which offers the advantages of Vodafone 159 pack. Talking about the important features of the new Recharge Pack, Idea user will get unlimited calling facility with 1 GB of data every day. The direct encounter of this pack is from Jio's Recharge pack of 149 rupees in which the user gets 1.5GB 4G data for every use with unlimited calling. Unlimited Voice Calling, Ideal 28 GB data and 100 SMS per day, in the Idea's Recharge pack of Rs. 159. The validity of this plan is 28 days. Let the voice calling feature really be unlimited. Most 250 minutes of calls can be made every day and 1000 minutes per week. According to a report, 1 GB data will be given in fast speed every day. After the specified data is over, the user will have to pay 4 paise for every 10 kb. According to the report of Telecom Talk, this plan has not been made available for all Idea numbers. To check its validity, you can check the offers related to your number on Idea's website or app. The idea recently made changes in its recharge box of Rs 209, Rs 479 and Rs 529. During this time, it was also intended to give equal advantage to Vodafone to its customers. In these packs, the user is given 1.5 GB of data every day for use. Remind that Reliance Jio has an unlimited voice call, 100 SMS and 1.5 GB 4G data per day in a recharge plan of 149 rupees. The validity of this plan is 28 days. In addition, the subscription of Geo Apps is also free. Airtel recently introduced an unlimited voice call plan of Rs 159. In this validity of 21 days, the user gets 1 GB data every day.